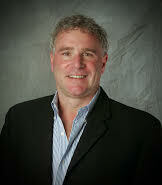 IMS Productions (http://www.imsproductionstv.com), a premier, multi-faceted, multimedia production company, has hired Rich Feinberg, a sports broadcasting innovator, as vice president & executive producer. During his career, Feinberg has managed all aspects of live video production for the ESPY Awards, NASCAR, NHRA, Verizon IndyCar Series, Winter X Games, X Games and professional tennis. Effective immediately, Feinberg will assume the newly created role and play a major part in continuing to strengthen market share and diversify IMS Productions sports and live entertainment event broadcast coverage. The executive most recently spent 23 years at ESPN in various roles, including for the past eight years as vice president of production. During his time at ESPN, Feinberg’s team created the look and feel of what sports fans saw on their television, computer, tablet, and smart phone when they tuned into ESPN’s media platforms. Feinberg’s decorated career overseeing live event coverage, technical innovation, event staging, and on-air talent recruitment started at ABC in 1984 as a programming research analyst. His path to Indianapolis has come full circle as his passion for motorsports production was ignited when he served as a production runner for ABC during the 1986 Indianapolis 500. From 2006 through 2015, ESPN’s live production of the Indianapolis 500 was one of his primary responsibilities. A visionary in advancing broadcast production and technology, Feinberg supervised the first-ever HD broadcast of the Indianapolis 500; utilized the “BatCam,” a flying cabled camera above the race track reaching speeds close to 100mph; evolved the use of onboard cameras with the innovation of “Dual Path Technology;” introduced live, real time human biometrics from the cockpit; developed the ESPN Tech Garage to educate viewers on the technical aspects of NASCAR racing; and served as lead production innovator and an integral part of the executive event development team for the X Games and Winter X Games. During his ESPN career, projects and staff managed by Feinberg earned 69 Sports Emmy nominations from the National Academy of Television Arts and Sciences. Personally, Feinberg has won 13 Sports Emmys including a two-time winner of Outstanding Live Sports Series and is a three-time winner of the George Wenzel Technical Achievement Award. Feinberg has also won a total of 16 N.Y. Festival International Television & Film Awards, 14 of them for his work on the Indy 500 including the prestigious Grand Award for ABC’s 2011 “Centennial Celebration” Indianapolis 500. A native of New Jersey, Feinberg graduated from Emerson College in 1983 with a bachelor’s degree in communications. He currently lives in Connecticut with his family and plans to call Indianapolis home. For further information on IMS Productions or to read Feinberg’s complete biography, visit http://www.imsproductionstv.com. IMS Productions is a premier, multi-faceted, multimedia production company located in Indianapolis, Indiana just across the street from the iconic Indianapolis Motor Speedway. We are comprised of two distinct divisions: our Productions Group, who work closely with clients to bring multimedia visions of all sorts to life, and our Mobile Unit Group who supply remote broadcast solutions to network television and other clients. For more information, visit http://www.imsproductionstv.com/.